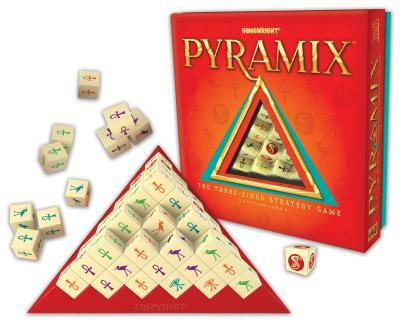 There are many things we love about Pyramix but the one we find most surprising is that it was created by Tim Roediger, who also designed our popular (and highly whimsical) card game, Dweebies. It's great to see his range of game design talent! This game presents an interesting strategic tension between present and future actions. Do you pull out a high-scoring cube early or go for ankhs with the hopes that it will yield big rewards at the end of the game? Try out different strategies and see if you can triangulate your way to a win! 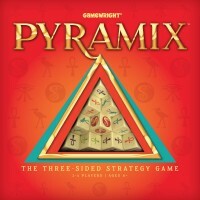 Add a Review for "Pyramix"